On April 20th Augustines played in Manchester to a crowd of 800+ people as the finale of a string of UK shows. All afternoon the streets were buzzing with people excited for the show to begin. Before the gig I was able to sit down with frontman Billy McCarthy and multi-instrumentalist Eric Sanderson to talk about their recent tour and what is to be expected from the band in the future. McCarthy and Sanderson were extremely welcoming and wasted no time pulling up an extra chair and making sure that my iPhone was in perfect position to catch every word (seriously, they checked about four times). To my surprise, the interview took on an early role-reversal as McCarthy insisted on asking me several questions about myself before letting me continue with any of my own. To my furthered surprise, McCarthy and I quickly learned that his mother and I had grown up in the same area – what a small world! After a few stories of Brooklyn drunken nights and stolen bikes, Sanderson and McCarthy asked if I had any questions for them, and I absolutely did. Augustines was not always the group that it is today and I wanted to get to the bottom of their humble start. Sanderson and McCarthy explained that the first place they ever rehearsed was at a Moroccan restaurant in Hell’s Kitchen of New York City. Rehearsals usually did not finish until 4:00 am. According to the duo, Sanderson rode his BMX while McCarthy rode his bike, equipped with a basket, between the restaurant and where they lived while blasting Billie Holiday and swerving across the Brooklyn Bridge. 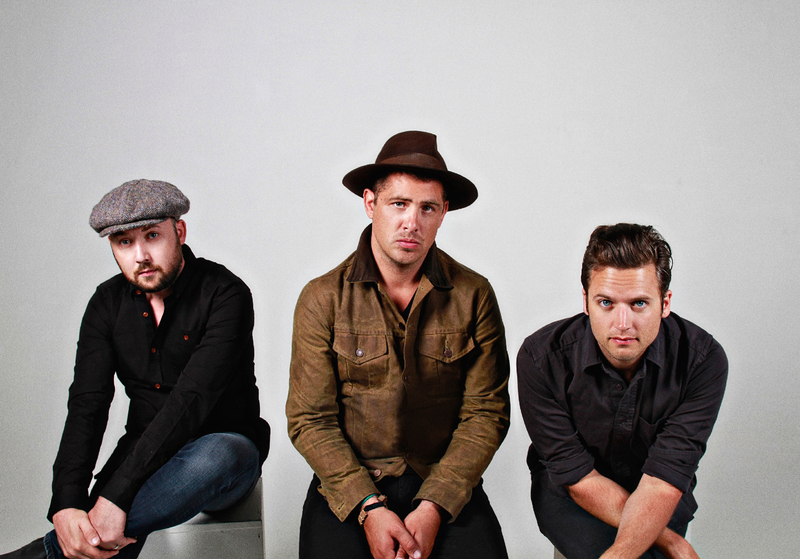 Due to how they started, Augustines did not expect to be where they are now. Although they both agree that they have always believed in both their music and their potential. “It is a little surreal. I think we’re here to stay,” said McCarthy. In regards to their music, Sanderson said: “We labour over our work and we put a tremendous amount of [time] into it.” He went on to explain that their music tends to draw on the places and people that they have encountered over the years but, “in the end, it always just comes out to initial impulse.” McCarthy added: “It’s a perk to not be tied down” when it comes to lyrical expression or inspiration. I took the compliment and explained that there was so much more about them I was dying to know! Augustines have been known to get up-close and personal with their live crowds, sometimes even walking directly into them during the show. Sanderson said that they feed off of the crowd’s energy and even kept them in mind when writing their second album, Augustines and third album, This is Your Life. McCarthy chooses to not consider the crowd as just fans but instead refers to the audience as the choir for the location they are in that night. In addition to the release of This is Your Life (releasing this June 10) and the tour to follow, Augustines is releasing a documentary film called Rise that will show McCarthy and Sanderson’s journey to where they are now. All in all, McCarthy and Sanderson are just as nice and genuine as everybody said they would be. They even turned off my audio recording for a moment to ask me about the differences between boys in America and boys in England. Sanderson and McCarthy were even generous enough to allow me to invite my friends to the show, free of charge. After a few more hilarious jokes and stories, I said goodbye to the musical duo and waited for the show to begin. As show time drew nearer, the venue filled to the brim with good-spirited, excited and (very) boozed up fans/the choir. The glow of iPhones above the heads of the crowd was enough to illuminate the room as the Augustines took the stage for their two hour set. The powerful, raw and emotion-filled voice of McCarthy filled the room and bounced off the walls as the band opened up with ‘Chapel Song’. The choir sang along with what proved to be a very energetic opening. McCarthy and Sanderson danced all around the stage as their hats flew off their heads during passionate guitar playing and wild displays of head-banging. The energy was contagious as the crowd began to do the same. Augustines’ drummer, Rob Allen, was met face-to-face with McCarthy as he continuously climbed onto the drum stage. Then, as anticipated, McCarthy climbed on top of the amplifier and leaned right into the crowd. He extended his microphone to the band’s adoring choir as everyone sang along (surprisingly well, I might add) to the next few tracks. Several songs and thrown guitar picks later, Augustines played their emotional track ‘Weary Eyes’ and the crowd silently watched and took in the amazing vocals of McCarthy. McCarthy, as frontman, stopped several times throughout the show to chat with the audience and make jokes. As people would yell from the back of the venue, he would answer them and even start brief individual conversations. After one final song the Augustines exited the stage. However, the crowd immediately began the typical chanting of “encore” and uproarious applause until the band was enticed back for another few songs. As the last chord silenced, the music coming to an end, the audience cheered and McCarthy began to throw more guitar picks into the crowd, even removing the set lists taped to the stage and handing them to audience members. Although the lights flickered back on and the room began to empty, the vibrant energy remained in the departing crowds remained.